Let’s have some fun collaborating on Christmas! I’m always about five steps behind the curve on my holiday decorations, and planning. This year, though, I’m determined to get ahead….at least just a teeny tiny bit ahead. So I thought it would be really fun if we all collaborated on a little holiday cheer. What do you think!? 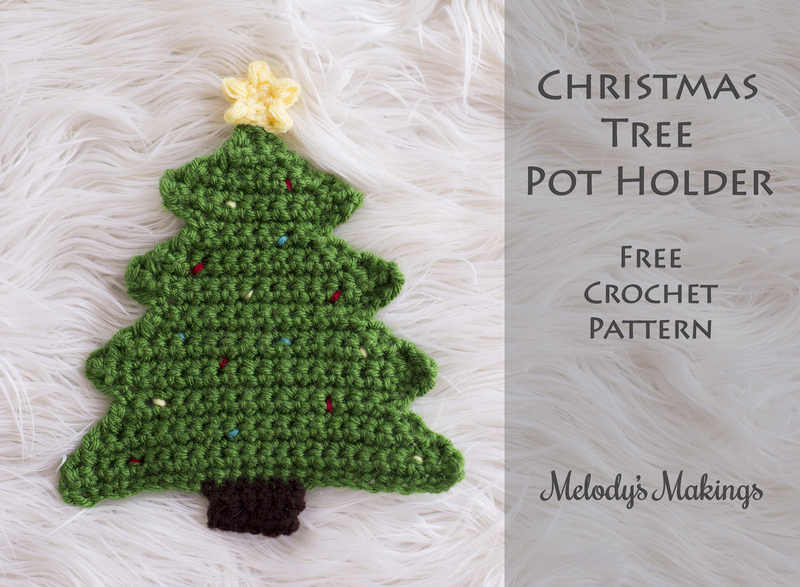 Every week or two for the next 5 weeks until Christmas, I plan to create a cute free holiday themed pot holder pattern. Well, really these are more suitable as trivets, but you could make 2 to make them extra thick and use them as pot holders too. My husband and I went back and forth on what we should call them. We finally decided that “Thing to put your hot turkey on during Christmas dinner” wasn’t really suitable….so pot holder it is! By the time Christmas rolls around, we should all have a really cute set of holiday pot holders to use during Christmas dinner! Don’t worry! These are all really quick and cute patterns. After all, I know knit and crochet time is quite valuable this time of year. Plus, I’m going to make it just a little more fun! 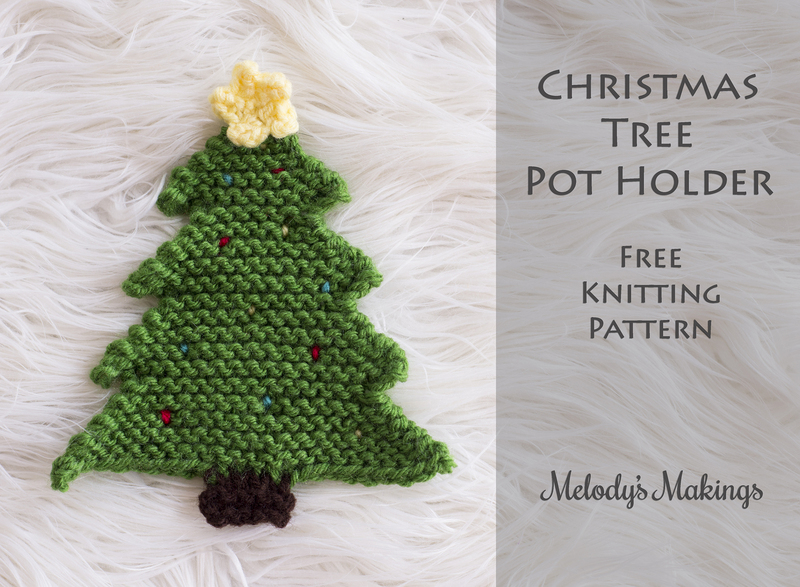 Everyone who creates these along with the group and then posts photos of them in use during a holiday dinner will be entered to win 10 of my patterns (or entry into my next two Mystery Create-A-Longs) for free! Thank you for sharing this pattern!! Can’t wait to make it!! Cute. I’m going to try and adjust the pattern to make a star of David for Chanukah! You are a great inspiration. Many thanks. Great idea Judy! That would look amazing! Very cute. Never had a knit version before. I hope to make both versions. I did say ‘hope’ LOL Thanks for the great patterns. This is precious! Thank you for sharing your patterns with us. I feel I must mention, though, that heat can melt acrylic yarn. Cotton is best! I’ve already requested to join the group, saved on Raverly and queued it, also shared on Pintrist. Yeah I’m really excited about this Christmas Collaboration. And I love this first pattern. I can’t wait to see what’s next. Will be starting this pattern later in the week. Thanks Melody. Is there a particular hashtag you want to use on Twitter for these pot holders? Oh gosh I hadn’t even thought of that…..Any ideas? What a great pattern and a great idea as well. I know for myself, when I am working hard on a Christmas or birthday project there is always some point at which I need a little break and a little project to do during that break. My problem is that is spend so much time trying to find a simple quick project that I get WAY behind schedule and end up annoyed with myself. With you giving us the project ideas, I won’t have that extra to worry about. Thank you for all you do Melody. I love your designs and I truly appreciate you, your talent, and your willing joy at sharing it all with the rest of us. These will work up so quickly, and be great hostess gifts too! Thank you, Melody. I love your patterns and that you share them with us. I love Potholders and this is so Nice and I may add Bulb)french knots here ‘N’ there. Thank you. are we to use regular worsted yarn?It won’t catch fire will it? or do we use cotton yarn? You can use whatever you’re comfortable with. Cotton is the best if you’re going to use it to get things out of the oven, etc. I just use mine as hot pads, so I don’t worry as much about the fiber. Adorable! 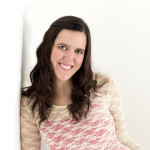 Thanks so much for sharing on the Knitting Love Link Party. I’ve made 4 so far, very easy. Love this pattern. I doubled the yarn on one, just to make it table safe for some real HOT dishes. THANK YOU SO VERY MUCH.